" I had a problem to solve: the laminated paper menus I had were just not durable enough. The ink was dissolving, and they were becoming delaminated. That's when I found PrintingForLess. 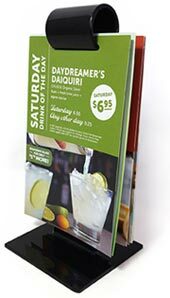 I worked closely with my personal rep to produce menus on SmartFlex®, which looks great, lasts much longer and stands up to the day to day rigors of the restaurants. I sat one menu in a bucket of soapy water overnight to test it, and was able to just wipe it off and put it on the table the next morning. It's a great product, produced by a company that knows what they're doing with specialty paper. I would definitely recommend PFL and SmartFlex for any restaurant looking for a great menu. " What in the world is Synthetic Paper? With standard paper, the pages of this menu stand would tear off easily and stain with the first splash. The quick answer is plastic. But there's much more to that story because SmartFlex® Synthetic Paper changes the game of printing. Traditional paper from wood pulp can be manufactured to have a lot of great qualities. The look and feel of premium paper can really improve the image of your company. Any business that wants to present a quality product needs quality marketing and sales materials to convey that message. SmartFlex® Synthetic paper has that premium look and feel along with rugged durability, while being tear resistant and waterproof. SmartFlex® is a durable paper alternative extending the life of your investment. Printed synthetic pages clean with soap and water and won't tear apart from the stand. Reduce - Using SmartFlex® in your print allows you to reduce your consumption because it will last longer and still look great. Reuse - Images won't fade over time like standard paper and even tough, sticky stains clean off with soap and water. Recycle - Synthetic paper is made from 100% recyclable materials. Just watch us try to make a mess of these SmartFlex® synthetic menus! 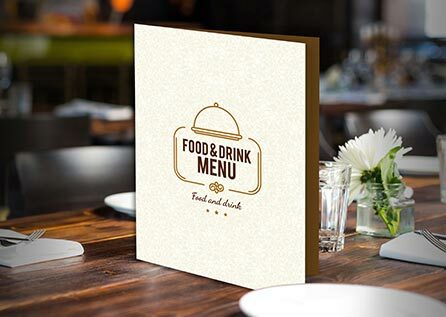 Printing menus on SmartFlex® synthetic paper makes perfect sense, but what else is it good for? 15 pt: More rigid like a card stock, this size is great for - Menus, Packaging that needs structural stability, Placemats, Business Cards, Identification Cards, Door Hangers, Parking, Vehicle and other Permits and Passes. Because it holds its shape so well, this size can have half folds only. 20 pt: Technically, this isn't SmartFlex® but a Styrene board. It is incredibly thick and strong, so it can't be folded at all. Otherwise, it has all the great properties of SmartFlex®. Great For - Window Signs, Storefront Lightbox and Advertising Signs, Bus/Transit Shelter Signs, Trade Show/Event Graphics, Coasters. SmartFlex® synthetic paper menus last much longer than laminated paper and look great for longer. Anything that needs to stand up against heavy use can be printed on synthetic printing paper. Gone are the days of putting your paper through a laminator to squeeze a few more uses before the edges peel apart. 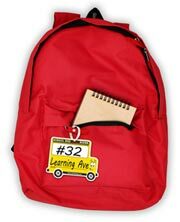 Lamination was the best we could do to waterproof your print before. You no longer need to accept low quality, cheap feeling solutions to this problem. Synthetic paper has made it possible for durable printed material to also look and feel like a premium, high quality product. Make print that lasts. Have questions about using SmartFlex synthetic paper on your project? Give our Print Consultants a call at 800-­930-2423.